Dr. Jon Chilingerian, Ph.D. is the Program Director of the Executive MBA for Physicians (EMBA) program and the four-year dual MD-MBA degree with Tufts School of Medicine. He also teaches both Leadership and Organizational Behavior and Management of Healthcare Organizations for the EMBA program. 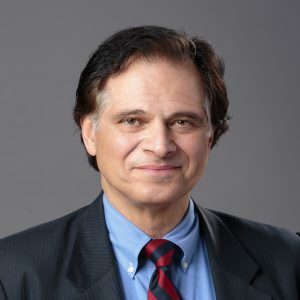 In the below interview, Dr. Chilingerian weighs in on the importance of his courses for practicing physician-leaders, his passion for educating physicians, and the classroom experience. How can an understanding of the topics covered in both Leadership and Organizational Behavior and Management of Health Care Organizations help physicians in their professional lives? We want clinical leaders to take note that job pressures, bosses, and toxic workplaces are a major source of stress. Although the physical environment is a big concern, we should be even more concerned about the effect of work organizations and interactions on human beings and their health. Recent studies show that 88% of people feel that they work for an organization in which no one cares about them. Designing an organization and culture in which people care about each other, feel valued, and offer patients and customers outstanding value requires effective clinical leadership. Healthcare needs leaders who understand how to get all of this done. The job of a leader is to create great teams that do amazing work on time. The Leadership & Organizational Behavior course gives you an opportunity to begin to develop your leadership skills through group work, reflection, case studies, and the literature on organizational behavior and leadership and helps you to apply this learning to your clinical role. The course is case-based with role-playing, simulations, and multi-media pedagogy. The Management of Healthcare Organizations course has a similar focus. This course integrates the underlying and applied sciences of the core MBA curriculum. Designed to illustrate the new blossoming science of medicine and management, the course requires applying health policy, strategic management, cost accounting, operations management, organizational behavior and leadership to manage and improve very complex healthcare organizations. This course is case-based with multi-media pedagogy. What stands out most to you about educating physicians? What I love about working with physicians is how quickly they are able to grasp complicated ideas and how quickly they are able to think about ways in which they can put them into practice. We have tried to build a curriculum through working closely with physicians to bring material that will, in fact, give great benefit to clinical application. Physicians are superb diagnosticians. The fundamental start of any strategic thinking process is diagnosing what’s going on in the world around us. Once physicians realize that what they do as clinicians is very similar to what leaders have to do – relentlessly examining the patient’s situation and considering what should be done to improve it – they catch on faster than most students. They are among the most curious people as students I’ve ever encountered, and they have great energy which makes it easier to engage with them. On a number of different dimensions, physicians are the best students you can have sitting in front of you. What types of activities can a physician expect in a typical residency session class? Webinar session? To maintain my standing as a professor, I must conduct new and original research on healthcare organizations and find ways to translate that research into classroom learnings. The pedagogy that we depend on requires active learning. This means that we use case studies and simulations, role-playing, debates, and discussions in class to ensure everyone becomes an active participant and learner. We don’t believe that learning happens unless you disturb the system a little bit. Sometimes we put you in a situation where you might be a bit uncomfortable. We think that makes for a much more dynamic learning environment. To do that, we have to pick the right cases and think about the simulation and role-playing experiences that will give everyone an opportunity to work with concepts and tools, test them out, and put them into practice. The ultimate learning takes place when we have a group of people who are all engaged and use the collective intelligence in the room to build on the ideas of others, listen, and reflect on the insights they get – then we all leave with a few more ideas than we started with. This entry was posted on Monday, September 24th, 2018 at 5:36 pm	and is filed under Uncategorized. You can follow any responses to this entry through the RSS 2.0 feed. You can leave a response, or trackback from your own site.